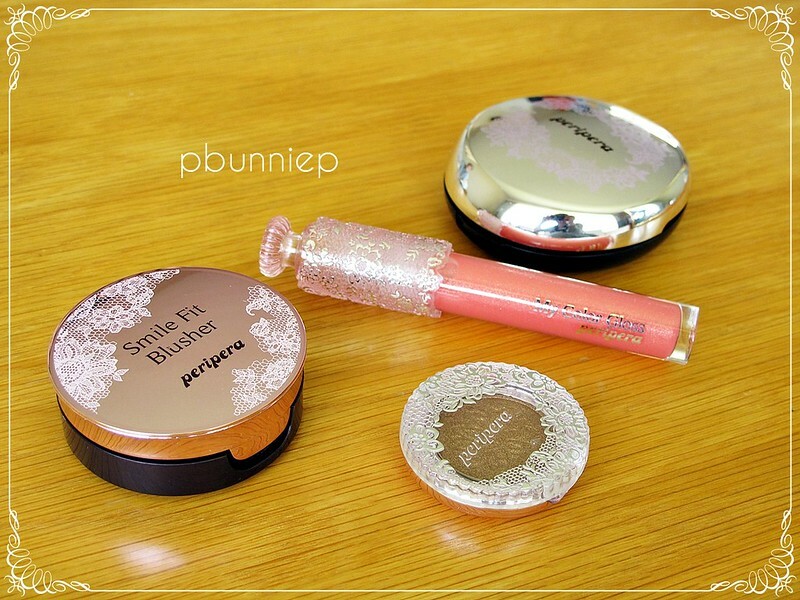 So, shall we say that this post is about some very adorably cute products from Peripera? I've shown a few photos here and there but the mainly only of the packaging but since many of you have shown great interest in them I thought I should at least let you see the insides. Since I have just finished swatching and photographing all the products (in preparation for future reviews) I thought it's a good time to film a video so you can all get as excited about these items as I am. Peripera Smile Fit Blusher #4 "Peach Orange"
Peripera eyeshadow #27 "Bronze Sparkle"
Peripera I Love Pact #21 "Soft Beige"
Peripera My Colour Gloss #3 "Angel Orange"
Nicol by OPI polish "Paparazzi don't preach"
As a general rule, I don't open or touch any products that I haven't photographed so I'm just itching to finally dig into these! I love the ways these look so far and if they perform well then I might have to grow my Peripera collection. I've already got my eyes on a few other lip gloss colours as well as some other eyeshadow colours. Next review will likely be the Maybelline BB Cream so stay tuned! Now off I go to pain my nails "Paparazzi don't preach!" I watched this video today and I liked it a lot :) I hope you'll be pleased with the products that you bought. I'm very curious what your review will be. Such cute packaging! I haven't tried any Peri Pera myself but it looks very cute. Have fun playing with your new products! The packaging is so gorgeous! These look like great colors....I haven't tried anything from Peri Pera but I have tested a few nail polish testers at a store and they were nice!